As a vacation or second home owner it is important to monitor your property or properties while you are away. Problems that arise from trespassing and water or temperature damage can be costly. Monnit provides low-cost sensors that can detect if doors or windows are opened, motion, temperature, water, humidity and if lights are left on. Get real-time alerts as something is happening and protect your property. If your vacation home is part of an HOA, you can have a contact at the HOA notified as well, so they can check on your home for you. Water Detection Sensors Monitor water in sump pits. Detect if water reaches a certain level and the pump has not turned on, indicating a pump issue. Motion Detectors Monitor and detect motion in and around the home. 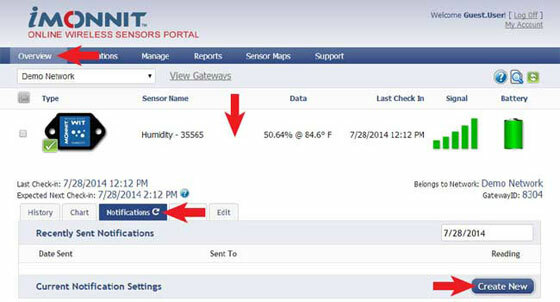 Temperature Sensors Monitor temperatures in and around the home. Battery Health Sensors Monitor and track the voltage of backup batteries and boat or RV batteries. 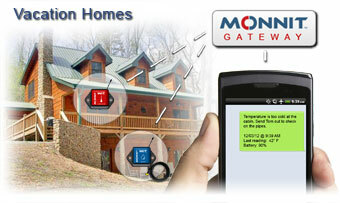 Protect Your Vacation Home or Cabin with Monnit Wireless Sensors!